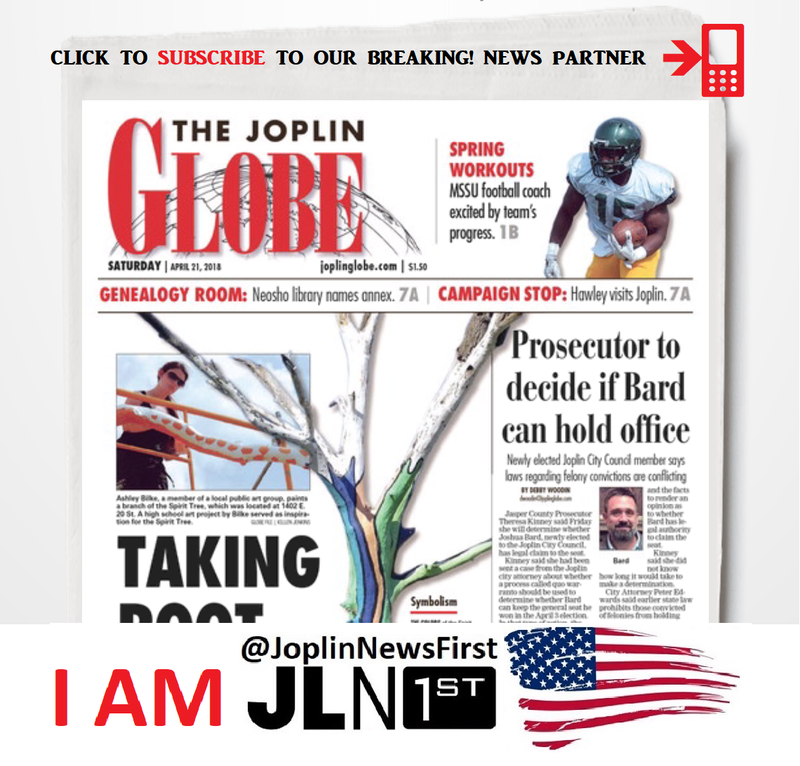 Joplin News First: New Guidelines for #JPDIncidentSpotlight - R.I.P. It is DEAD. New Guidelines for #JPDIncidentSpotlight - R.I.P. It is DEAD. (64804/64801) -- In a post from the Fraternal Order of Police Southwest Missouri Regional Lodge #27 Joplin News First have been given permission to re-post the email to Joplin City Employees. In the image you will see the actual 'pollyanna' words and 'new guidelines' that will now prevent the Joplin Police Department from continuing the #JPDIncidentSpotlight. The Fraternal Order of Police Southwest Missouri Regional Lodge #27 is part of the national Fraternal Order of Police (FOP) consisting of sworn law enforcement officers in the US. 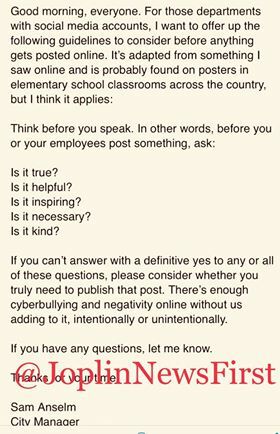 If you can't answer with a definitive yes to any or all of these questions, please consider whether you truly need to publish that post. There's enough [sic] cyberbullying and negativity online without us adding to it, intentionally or unintentionally.